Midwife-apprentice, Kyle’s sheltered world is shattered when a patient’s mate flies into a murderous rage and attacks him. 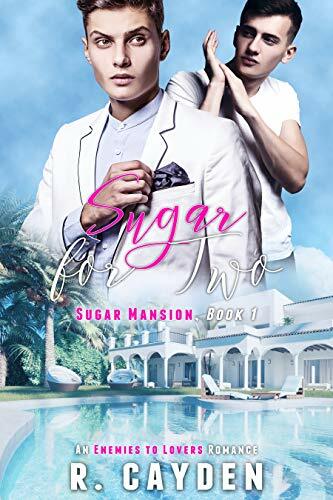 Kyle is rescued by a handsome alpha visitor, but as attraction blazes between the two men, and they fall into each other’s dreams, what starts as lust becomes something impossible. Kyle is a beta. He can’t be an alpha’s true mate. And yet, what else explains their connection? Pine Creek Lake alpha, Shadow isn’t looking for his true mate when he stumbles across a beta being attacked in the middle of the night. But when a simple rescue reveals a chain of possible murders, Shadow must learn the truth about the man in his dreams before it’s too late. Something is driving alphas in the Blackcreek pack to rage and die young. Is Kyle as ignorant as he pretends, or is he hiding a dangerous secret? He chose to follow the path that was laid out for him rather than choosing me. That was his choice. I choose to be better than the chaos that surrounded me but now I’m right back in the middle of it. It was easy for him to let me go back then but now his goons are bringing me right back to him. Right back running errands for his MC and taking care of his son like we are some kind of family. I should be starting a family of my own but I can’t let his son go unprotected. Omega’s Arrangement is a stand-alone romance that includes mpreg and suspense. Not appropriate for readers under 18.